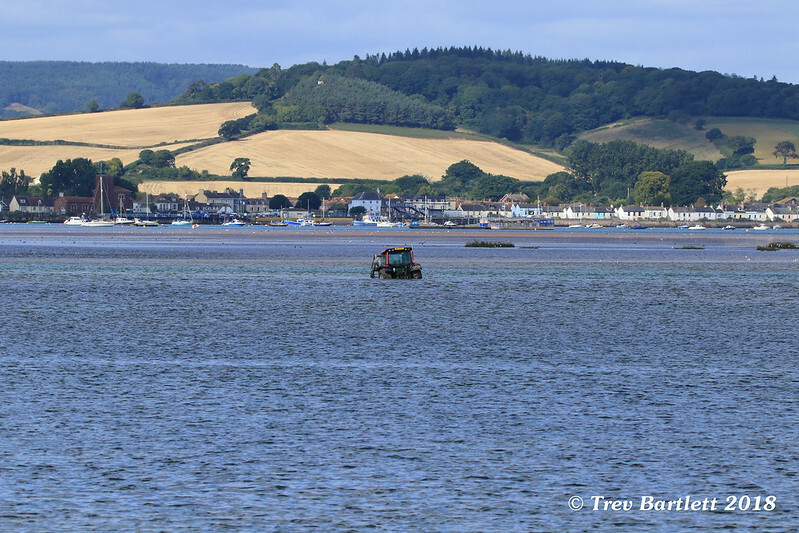 When the RSPB tried to do some clearing up on the Exe Estuary. Last edited by Trev B; 12-09-2018 at 21:39.
crikey....looks like the rescue vehicle not the rescued. I think the driver just might be in for some ribbing from his mates. Well spotted & documented, Trev. Many years ago (early 80s) I worked on the geophysical survey for the Conwy tunnel. This involved using explosives along the river mudflats at low tide which left some sizeable craters. All of the craters were then staked and also marked with buoys to mark their position for when the tide came in. 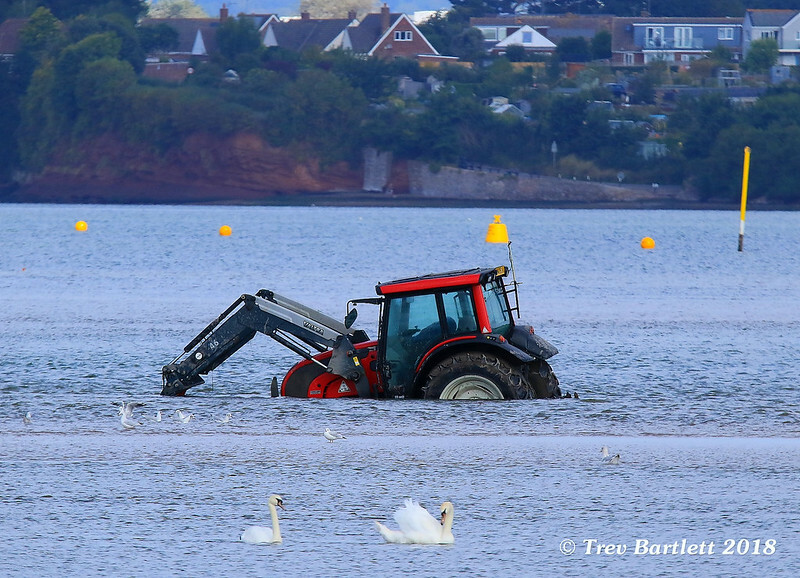 However, this didn't stop a tractor/back-loader (of the water company, if I remember correctly) completely missing the signs and driving into one just as the tide was coming in. I assume they got it out eventually. And I'm sure somewhere I will have a similar photo to yours, although this would have been taken with a disposable camera which was then sent off to Truprint!